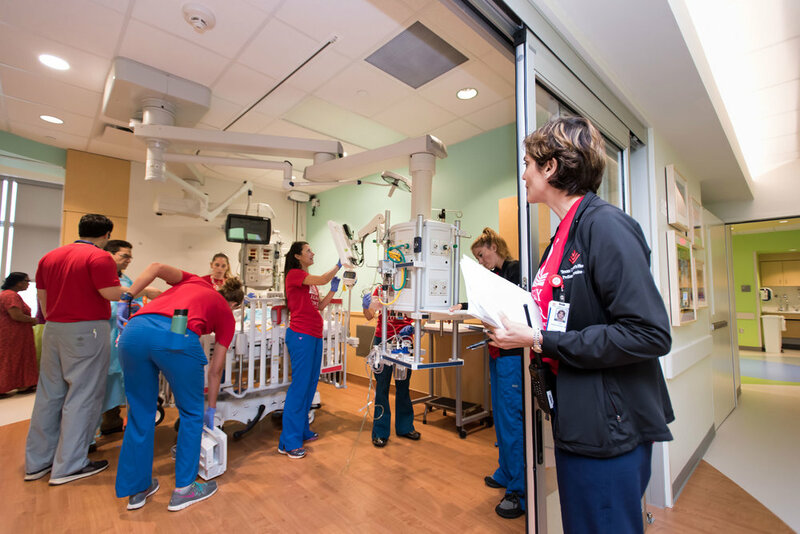 Beginning at 7 a.m. on May 22, seven specially-trained clinical teams safely transported 45 critically-ill patients to their new, spacious, state-of-the-art critical care rooms. 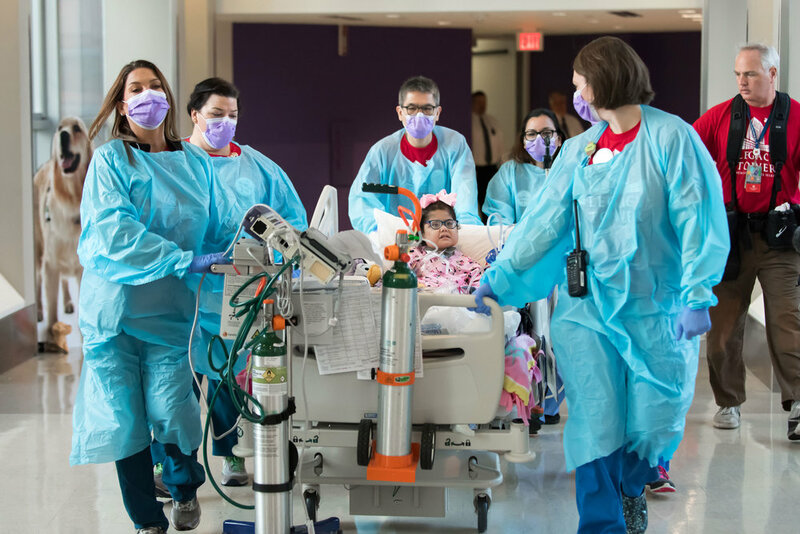 More than 150 Texas Children’s staff members were involved in the move, and the careful transfer of the patients took seven hours. On May 23, the first surgery was performed in Legacy Tower by Dr. Larry Hollier, surgeon-in-chief at Texas Children’s, Dr. Edward Buchanan, chief of plastic surgery at Texas Children’s, Dr. Howard Weiner, chief of neurosurgery at Texas Children’s, and Dr. Robert Dauser, neurosurgeon at Texas Children’s, along with a team of anesthesiologists, nurses, physician assistants and operating room staff.